A client from Florida asked me to create this house number with a dolphin, completed with accents of shimmering tiles that make the waves sparkle! Just finished creating this custom house number that will brighten any day! It always brings a SMILE to my face when I hear from HAPPY customers! 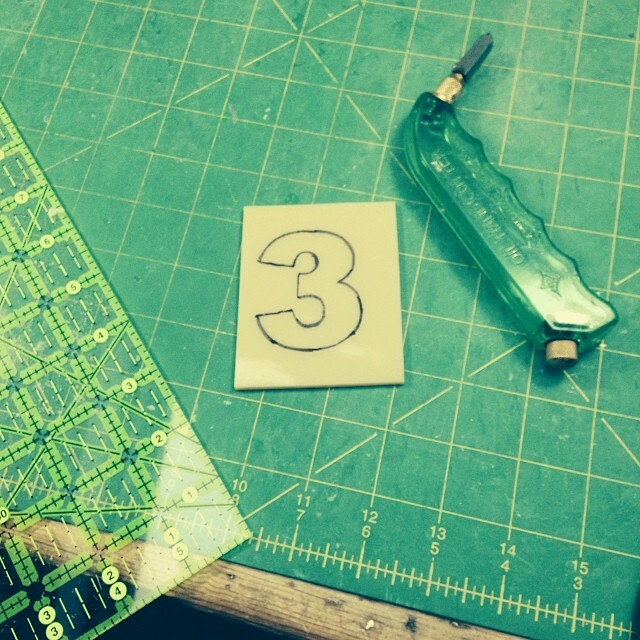 Working on a custom ordered house number. The French style of house number has been very popular! Starting a new house number that will be done in blue and white stained glass. Live In Mosaics loves happy customers! Today I got a note from Australia from my client who purchased a custom house number. "I absolutely love it!! It stands out and has really jazzed up the front on my little unit!" Thank you Kate! This brought a smile to my face!